Tibet was easily one of the most anticipated places in our journey. 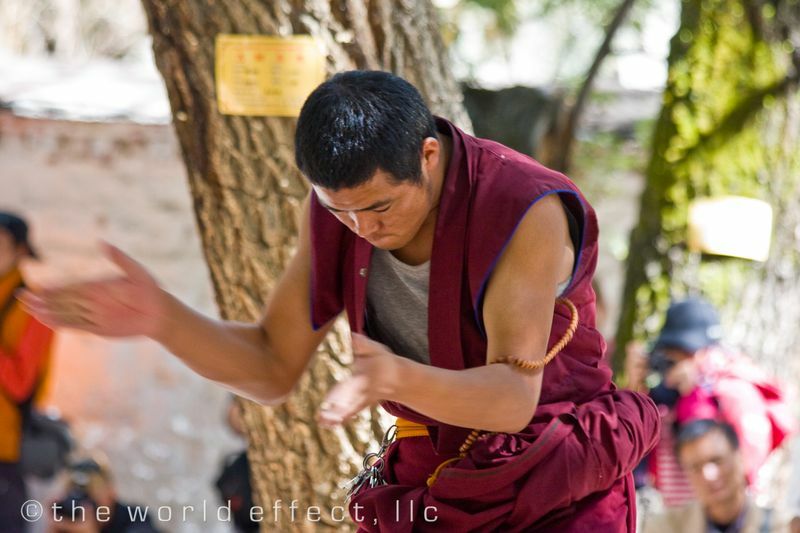 We arrived Lhasa in the early evening and were immediately aware of how special of a place we were in. The city of over a million people sits in a valley at 11,450 feet, surrounded by green mountains that lead into the Himalayas. 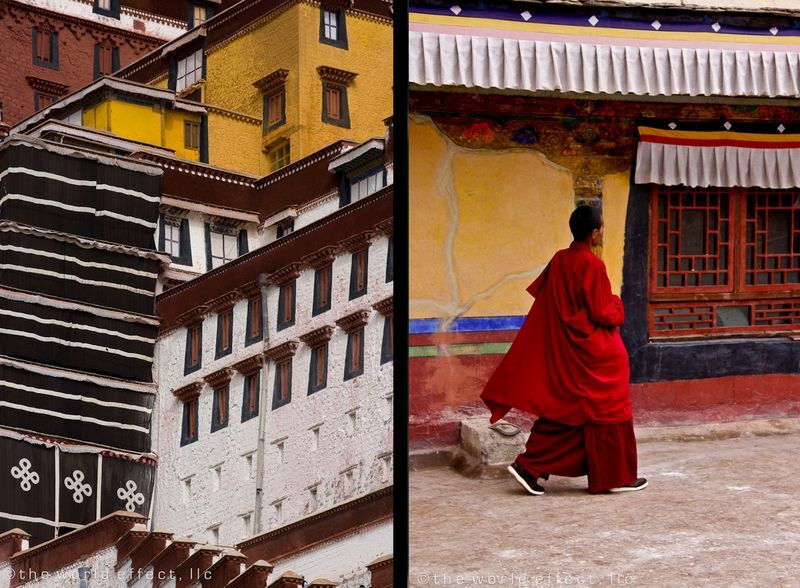 Lhasa is filled with color, making it another one of our all-time favorite places to photograph. The colorful prayer flags accent nearly every building, statue, rock and tree within sight. 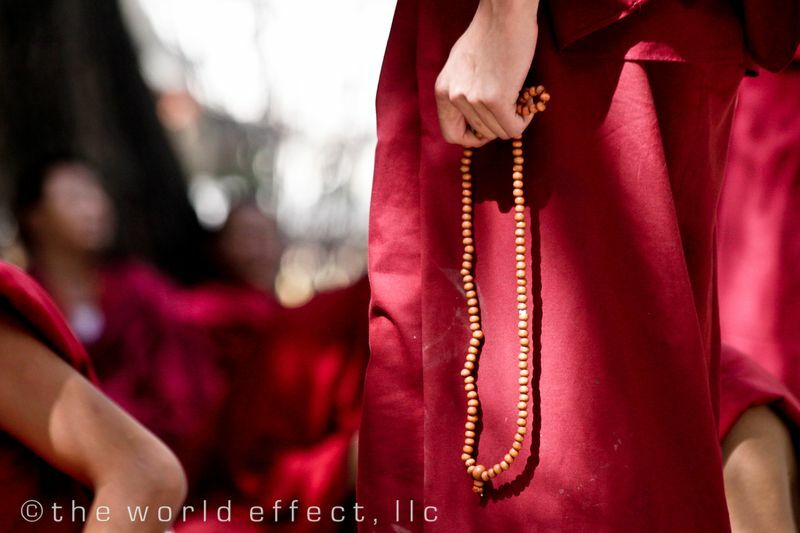 The Tibetan Buddhist monks wear deep red robes. 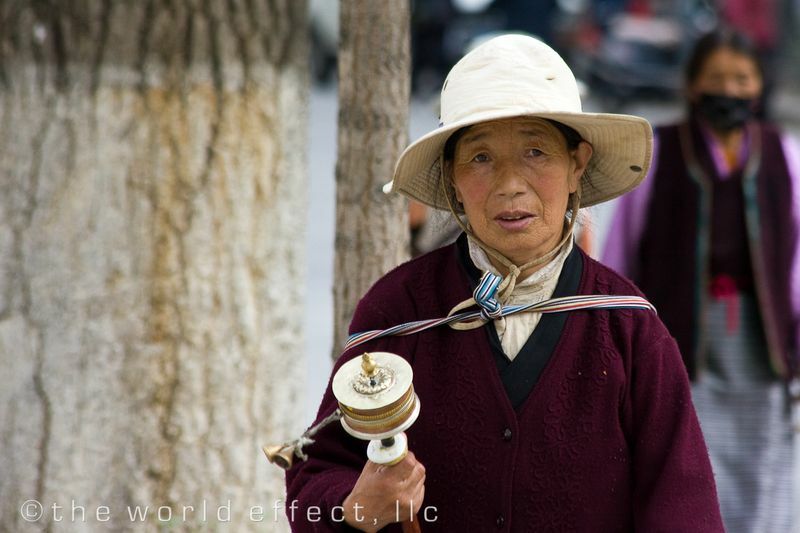 The brightly dressed locals, walk slowly circumnavigating the temples and twirling prayer wheels. The sky in Lhasa seemed especially clear and blue, and the clouds seemed especially white. The setting we were in was such a contrast from Beijing and Xi'an. We went to the city's most iconic location our first morning in Lhasa, the Potala Palace. This amazing structure served as the residence of the Dalai Lama up until the 14th Dalai Lama fled to India in 1951. The Potala Palace which is said to have over a thousand rooms and ten thousand shrines towers over Lhasa on a steep hill. The building is painted in white, red, yellow and black, making it one of the most beautiful buildings we have seen. 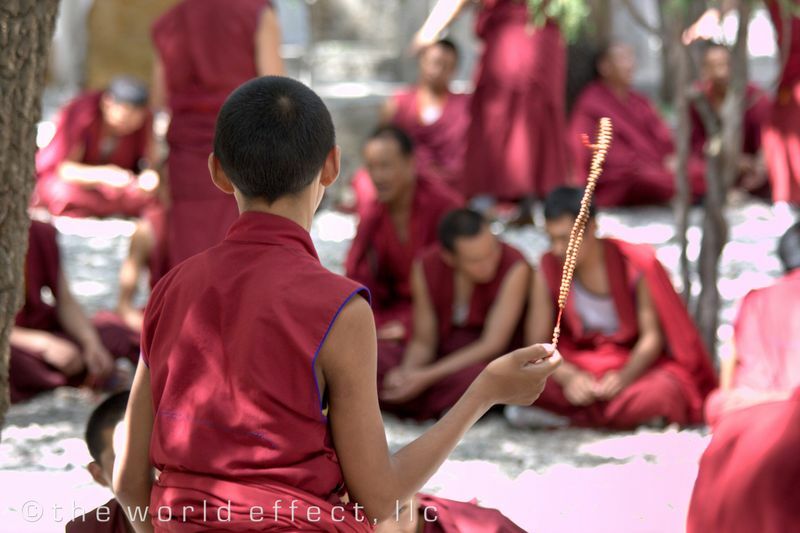 When we toured the building, we were amongst hundreds of Tibetans who are on their pilgrimage to Lhasa. We wound our way through the countless rooms filled with Buddha statues and shrines and watched the locals make offerings of money, yak wax candles and incense. This was truly and unforgettable experience. Our next stop was the Sera Monastery. 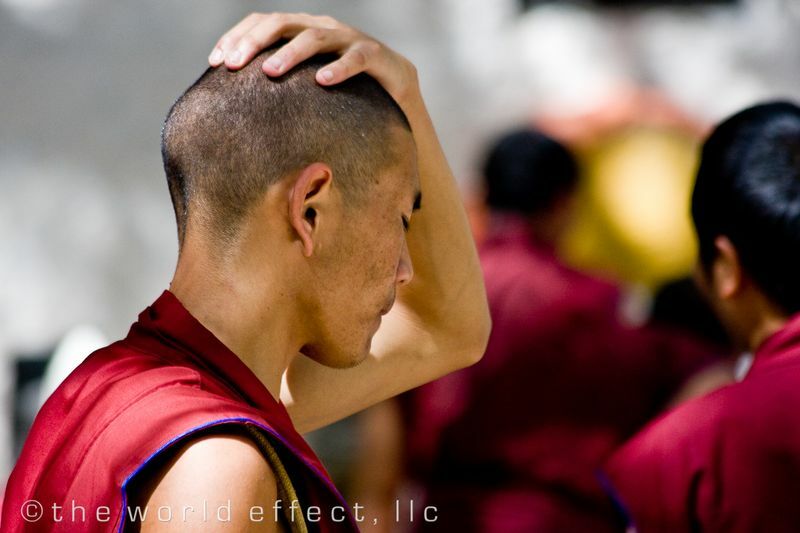 This monastery is famous for viewing the monks practicing their debating skills. It's a wonderful sight. 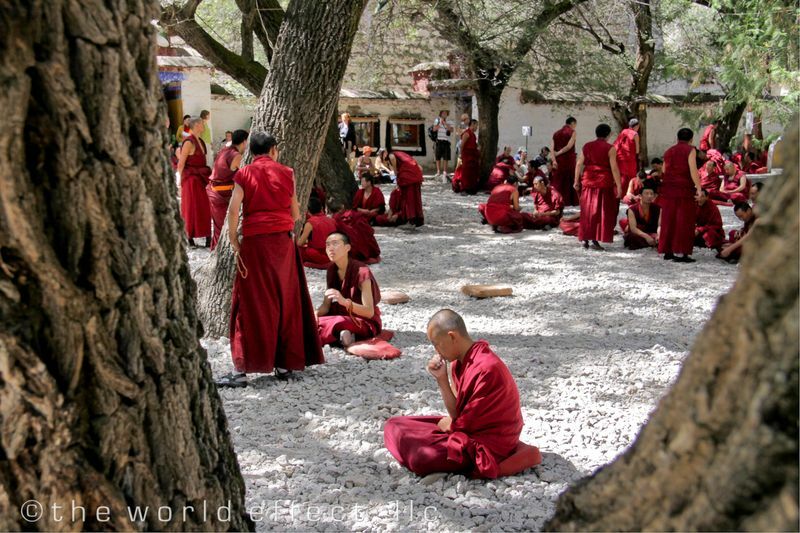 Monks sit in several small groups in a courtyard. Each group has one man standing, leading a passionate debate. The monks take turns lecturing the others. We had no idea what they were saying, but it was fun to imagine the things they were debating about. 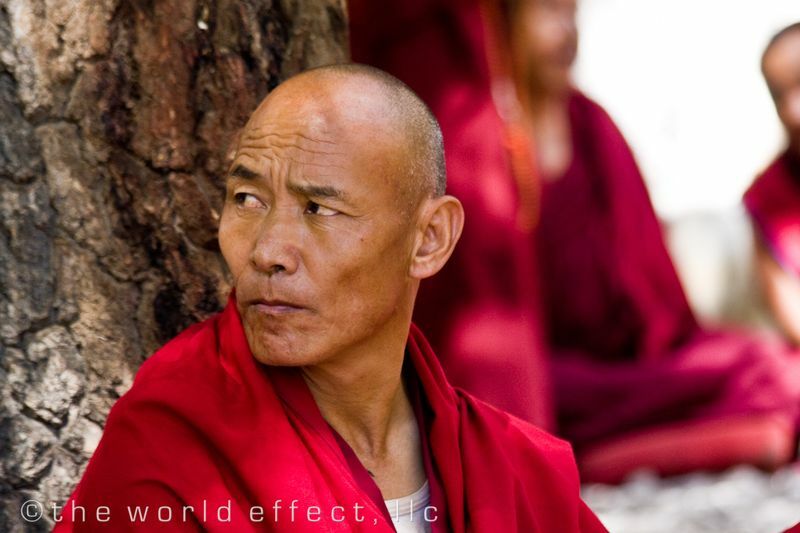 The monk's body language was also very interesting. It's a little difficult to describe, but the debate leaders had a way of finalizing their point by slapping their hands together in a sliding motion with a little little foot stomp. It seemed to work for them, so Meggan and I are trying to work this into our "debates". The views were spectacular around the monastery. The rocks on the surrounding hillside were covered with colorful Buddhist murals. The first full day in Lhasa was almost sensory overload. There were so many new experiences, views, sounds and smells, it was almost overwhelming. Luckily, we had 3 more days to see more sights, acclimatize to the thin air, and feast on some more yak! 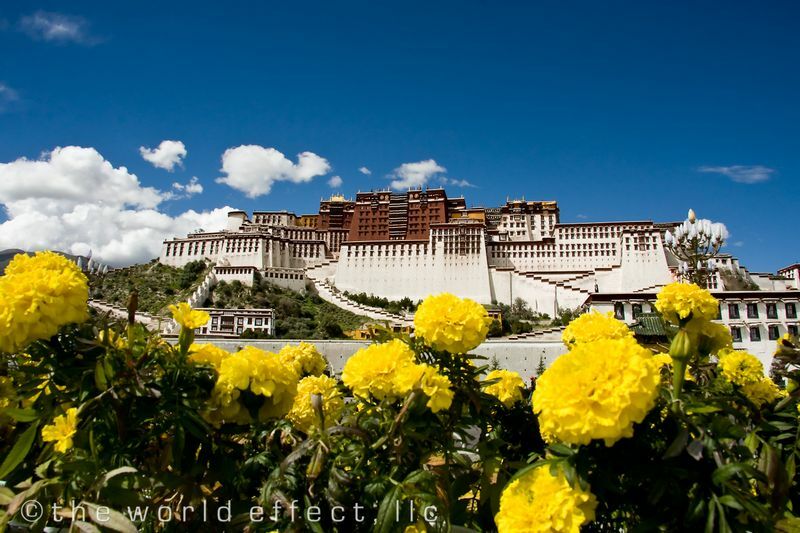 You know, Tibet or Lhasa is a good place for travel. 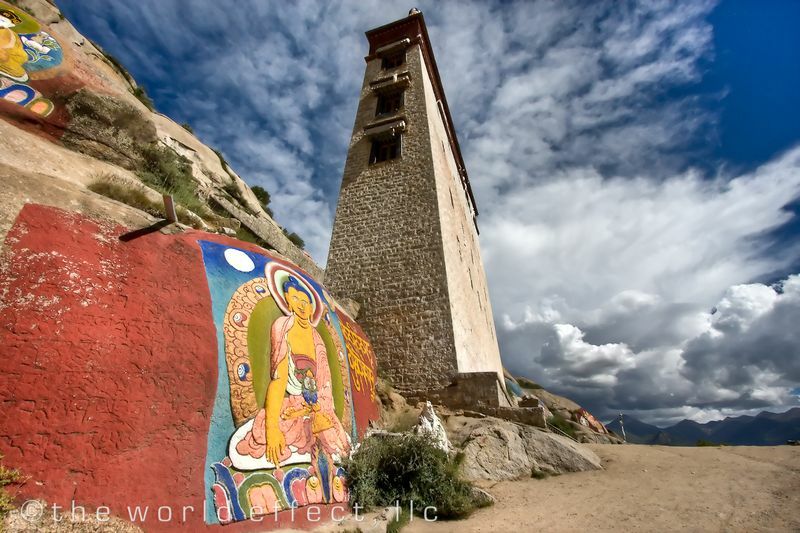 However, amony all tibet tours, EBC is a must visit site. I agree, this is a nice place for relaxing. It’s very clean, and everything looks natural.